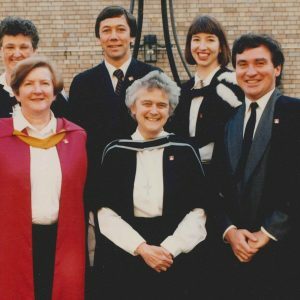 1986 – The Council Minutes of 12 June record that the Ex-students’ Association donated the Nita Macrae Award for Leadership (in honour of Sr Nita Macrae, principal from 1943-57). The inaugural recipient was Jacqueline Loo. 1986 – At the Council meeting of 18 September, the Chairman reported that the Provincial had advised that the Order would make Sr Shanahan’s services available for another five years. By unanimous resolution, Council confirmed and extended the appointment of Sr Shanahan as Principal. 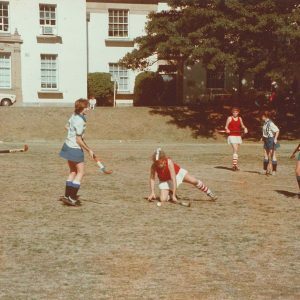 1986 – Also at the meeting of 18 September, Council unanimously authorised the execution of the deed drawn up to formalise the establishment of the College Foundation. The College Seal was affixed to the Deed, at the Council meeting of 27 November, and Mr Malcolm Irving was announced as the Foundation’s first Chairman. 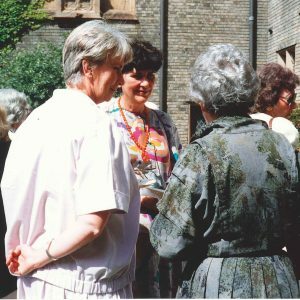 The first AGM of the Sancta Sophia College Foundation was held on 12 July 1988. 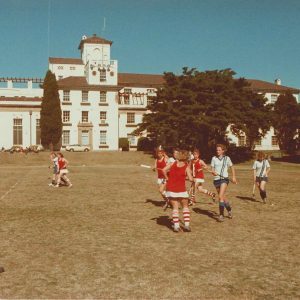 1986 – The Minutes of Council of 27 November recorded that an elusive sporting victory had been achieved with the College’s basketball team defeating Women’s and Wesley. 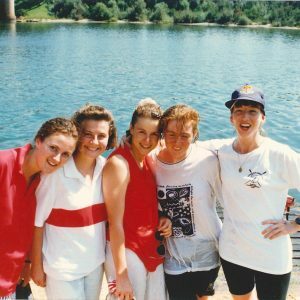 Success on the tennis court in 1987 ensured another Victory Dinner would be held the following year. 1987 – In recognition of its research value and special storage requirements, Stage II of the Lane Mullins Collection was transferred from the College Library to the Rare Books Collection of the Fisher Library, on a loan basis. 1988 – The extraordinary service of Dr Dora Bye was recognised at the Council meeting of 16 June, who reached the milestone of 50 years as a member of Council in May. 1989 – A Special Meeting of Council was held on 4 April to consider a proposal to build a ground floor computer room and first floor Vice- Principal’s flat, thus enclosing the quadrangle between the North Wing and Octagon. The Finance Committee report of 22 March 1990 advised that the building extensions had all but been completed, and that the structure ‘fitted in well with the surrounding building’. 1990 – On 22 March, Council resolved “that this Council may appoint as a Fellow of Sancta Sophia College a person who has given distinguished service to the College, such appointment to be deemed an honour without financial implications”. An Awards Committee comprising the Council Chairman, the Principal and five other Councillors was established to consider and recommend suitable appointments. 1990 – On 7 June, Council unanimously endorsed the appointment of the first four Honorary Fellows of Sancta Sophia College: Lady (Joyce) Black, the widow of the late Chancellor of the University, Sir Hermann Black; Mrs Mary Collingridge, the first President of the Sancta Sophia College Ex-students’ Association, and Councillor from 1950-87; Rev Dr Harry Davis, member of Council, 1969-89, and former Chairman of Council; and Dr Dora Bye, one of the foundation students of the College, and a member of Council since 1938. 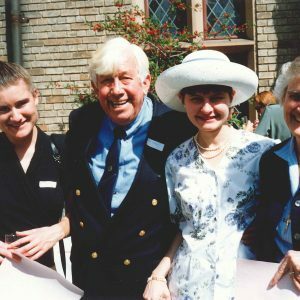 1990 – In November, Council voted to approve the establishment of the Centre for the Psychology of Religion, sponsored by Sancta Sophia College, with Dr Kathleen O’Connor (Vice Principal of Sancta) as Director for 1991. The establishment of the Centre was the subject of a proposal presented to Council by the Principal, Sr Shanahan, and Dr O’Connor. In the proposal, Sr Shanahan argued that ‘in these changing times, the College must be developed into an Academic Centre or else it will become a boarding house’. Support for the Centre was regretfully withdrawn at the end of 1991. 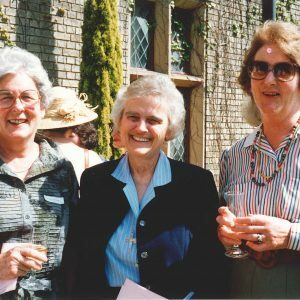 1991 – On 21 March, Mrs Marian Diesner was elected to replace Miss Aline Fenwick as Chairman of the College Council, defeating Dr Joan Pasfield in a secret ballot. An Honorary Fellowship was conferred on Aline Fenwick on 20 June in recognition of her contribution to Sancta Sophia College. 1991 – Council was advised at its meeting of 21 March that Sr Shanahan’s term as Principal would come to an end at the close of 1991. The Provincial, Sr Brennan, advised that there were no recommendations for the position, and as a consequence the Society of the Sacred Heart of Jesus would regretfully withdraw from the administration of Sancta Sophia College at the end of the year or in early 1992. 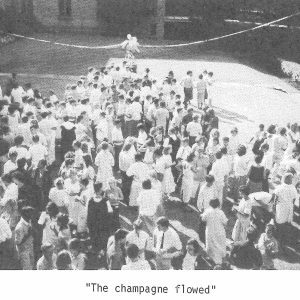 1991 – On 19 September, Council accepted, with regret, the resignation of Dr Dora Bye, a foundation student who had been elected to Council in 1938, and was one of the first Honorary Fellows of the College. 1991 – At a Special Council meeting on 9 October, the appointment of Mrs Janice Raggio as Principal was announced by the selection committee. Mrs Raggio took up her appointment in February 1992. 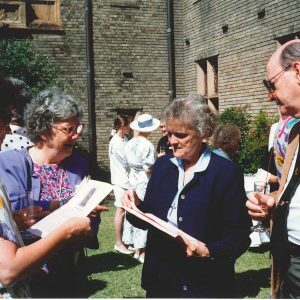 1991 – On 21 November, the outgoing Principal, Sr Mary Shanahan, was conferred with an Honorary Fellowship in recognition of her significant contribution to Sancta Sophia College over many years, and in a number of roles. 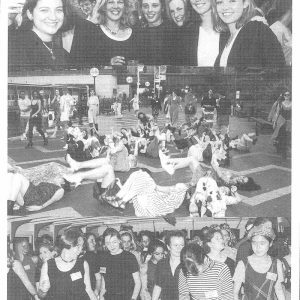 1992 – Further reflecting the changes taking place in the administration of the College, Council resolved in July to establish four new Committees: Policy, Mission and Philosophy; Finance; Operational; and Executive. 1992 – Late 1992 and early 1993 saw the resignation from Council of Mr Justice JJ Cahill, Dr Gwen Kennedy, Dr Joan Pasfield, Professor Peter Castaldi, Rev Father Michael Whelan and Mr Owen Magee. New members welcomed to Council were Dr Sue Kelly, Miss Cathleen Crossley, Rev Father P Quin, Professor Kevin Lee and Mr J Friday. 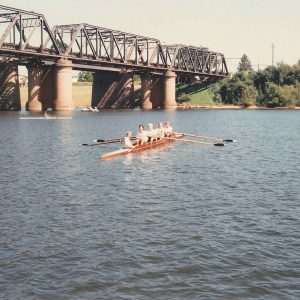 1994 – saw another rare sporting victory for Sancta, with the rowing team taking out the title ahead of Wesley and Women’s, following a win by the Fresher Crew and a second place finish by the Senior Crew. The win was celebrated with a well-deserved Victory Dinner. 1995 – Reflecting an ongoing awareness of and interest in the history of the College, the Minutes of Council of 12 October record that Mr J Sheldon reported on correspondence with Sr Marie Kennedy regarding the writing of a book on the history of Sancta Sophia. In addition to serving as the 8th Principal of Sancta Sophia College, Sr Shanahan had also been a student (1955 – 1957), the Dean of Students (1957) and Vice Principal (1959 – 1967). She was appointed an Honorary Fellow in 1991. Sister Mary Shanahan’s distinguished career as a member of the Society of the Sacred Heart of Jesus has been characterised by two things: her ability to generate a sense of community commitment and responsibility amongst her colleagues and the students in her care; and the ability to achieve a balance between the provision of stability and structure on one hand and the scope for personal freedom and development on the other. Both these qualities were evident in the multiple leadership roles Sr Shanahan played at Sancta Sophia College, and especially during her tenure as Principal. 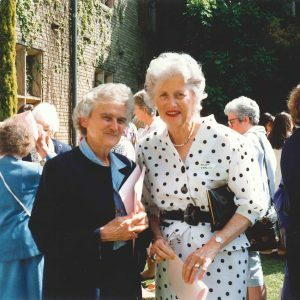 In addition to her roles at Sancta Sophia College, Sr Shanahan was the Provincial of the Society in Australia and New Zealand for five years, and was called to Rome to be a Councillor on General Council in Rome for 6 years. Aline Fenwick graduated in Law from the University of Adelaide in 1944, and undertook postgraduate studies in International Relations at the London School of Economics. From 1959-62 she was an officer in the Human Rights Division of the United Nations and Secretary of the Status of Women’s Commission. Returning to Sydney, she became a partner in the Sydney law firm, Pike & Pike, which was renamed Pike, Pike & Fenwick. Despite having little connection with the College, Aline Fenwick was elected to fill a vacancy caused by resignation of Miss Barbara Lane Mullins in 1973, and replaced Mollie Cahill as Honorary Secretary in 1974. Miss Fenwick’s nomination was supported by Dr Dora Bye who felt that her international experience and diversity of interests would be of great benefit to the Council. Following Dr Harry Davis’s retirement as Chairman of Council, Aline was elected as Chairman in February 1975, a position she held until 1991. During her Chairmanship, College enrolments increased from 118 to 158; annual expenditure rose from $211 000 to $837 000; gross income had passed $1 million; and a bank overdraft of $96 000 had been reversed to a credit of $96 000.